Richard May is one of Britain’s most outstanding cellists. Since winning the BBC TV Young Musician of the Year Competition, String Section, he has developed an international career as soloist and chamber musician. He has performed most of the major cello concerti with orchestras such as the Basel Symphony Orchestra, Ulster Orchestra and BBC Philharmonic Orchestra. His concert schedule has taken him throughout the UK as well as to Germany, Switzerland, Austria, Luxembourg, Denmark, Italy, South Africa, Japan and USA, with appearances at the Carnegie Hall, Wigmore Hall, Barbican and festivals in Salzburg, Berlin and Aldeburgh. 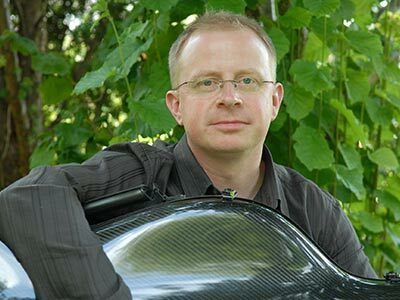 After his London debut recital at the Purcell Room, which included the world premiere of Five Duos for cello and piano by Colin Matthews, he was described by The Times as “a phenomenal cellist”. A recital in Basel of Bach Solo Suites gained critical acclaim for “absolute perfection and virtuosity”. He also gave a recital for the TV series and Chandos CD “Solo”, featuring British musicians. Richard studied with Florence Hooton at Royal Academy of Music and afterwards with William Pleeth, Paul Tortelier and Thomas Demenga. Past prizes include the National Federation of Music Societies Award and the EMI Jacqueline Du Pre Competition, where The Times wrote of the Shostakovich Sonata “simply one of the most gripping performances I have heard”. Recent performances include Haydn C major Concerto with the English Sinfonia in London and Vivaldi Double Concerto with Nigel Kennedy. 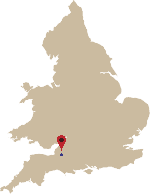 Richard is an Associate of the Royal Academy of Music and also teaches at the Royal Welsh College of Music and Drama.